‍TripAdvisor has recently launched a new product aimed at increasing your properties reviews and exposure on TripAdvisor. TripAdvisor Review Express offers hotel owners a simple and free tool for contacting their guests and encouraging them to submit a review about their recent stay. Review Express can interface directly with your online booking service and use the contact information guests provide when booking their rooms to send out up to 1,000 messages at a time. Customized messages are available to personally thank guests in your own words for staying at the property while also inviting them to leave a review on TripAdvisor. If automation isn’t your style, you can simply request your guests email address and upload it manually, giving you greater control over the messages you send. Review Express features more than 20 languages to give your message a special touch for foreign travelers. The importance of online reviews is no secret and TripAdvisor’s goal with Review Express is to increase guests awareness of the review process and drive more traffic to your property’s profile. According to TripAdvisor, 83% of guests researching hotels are influenced by user reviews and the majority of those guests read multiple reviews before making a decision. An active and current TripAdvisor profile helps guests determine the current quality of a property and plays a crucial role in their final decision. So now that you’re reaching more guests and receiving more reviews, how can you tell if Review Express is successful or not? The Review Express Dashboard gives you access to an automatic and easy to read summary for each block of emails Review Express sent out. You can easily see each campaign’s effectiveness, click and open rates, and separate out the reviews generated by Reviews Express. This feature can be found through the Management Centre on the TripAdvisor main business hub and is included when using Review Express. 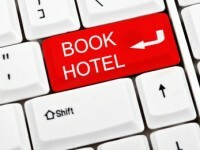 Will your hotel use TripAdvisor Review Express to generate more reviews?